For the past decade or so, we have seen famous people, such as, soccer players, football players, basketball players, as well as famous artists using these viral dances that have been uploaded it to youtube and other social media. But the question is when dance moves started trending? Since I believe most of us including myself don’t know we are going to take a little trip back to when everything started. The first dance moves that became viral was the Walk It Out by UNK in 2006, then, other dance moves such as Crank Dat by Soulja Boy in 2007, Stanky Leg by GS Boyz in 2009, Dougie by Cali Swag District in 2010, Shmoney Dance by Bobby Shmurda in 2014, Milly Rock 2014, Whip/Nae Nae by Silentó in 2015, Dab by Migos in 2015 Hit The Quan by iLoveMemphis in 2015, Hit Dem Folks by Shuicide Holla in 2016, Juju On That Beat by Zay Hilfigerrr & Zayion McCall in 2016, and finally the Shoot by Memphis in 2017 became very popular for the millennials. 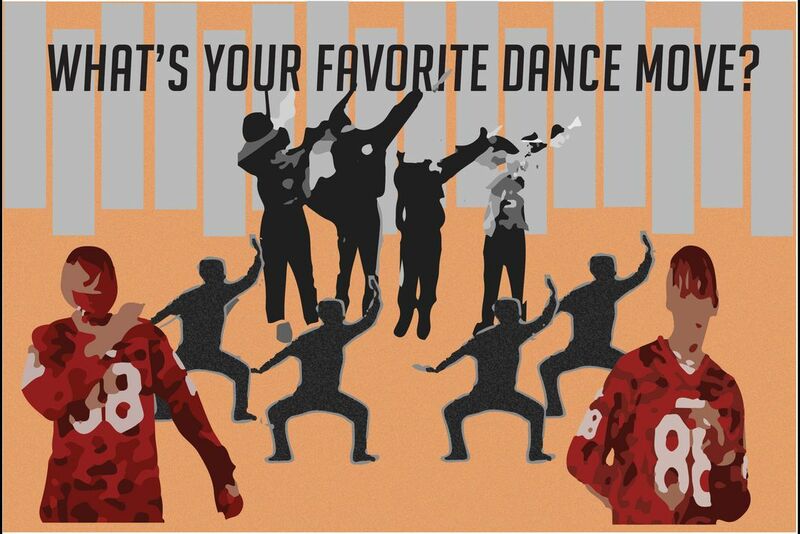 For, now these are the most trending and viral dance moves that have taken over our world. As I was walking on the GU campus, I asked a student and a few faculty members what their favorite dance moves were and if they could do it, or if they knew at least one of the dances I mentioned at the beginning. Surprisingly, there are not just student that can do these trendy dances but professor too. As I was looking into all these dances moves, I found out that what really made all these dances possibles was the access to social media and the internet. If we think about it, all these trendings dance moves became more viral as we started to hit the 2000s when having phones and uploading things were fresh for all the millenniums, and thanks to the technology any video can be viral within hours. Not only that, but what also helps these videos to become more famous is the fact that athletes use them as their celebration dance moves for their games. What is also very interesting is that all these trendy moves represent a different generation and lense in which people see things. As far as a generation we are going to go to the generation z and the millennials, these two generations are not far from each other. Being in generation Z, we have a mindset of more financial caution and did not have access to social media as much as today. Therefore, the lifestyle of the gen-z was most relax and private. On the other hand, we have the millennials, the world in which life is more of a fast pace because now is all about living the experiences, showing people what you are doing, where you are, where you are eating, etc. is less private than the generations before. And since all the marketing/social media people know this, they are using all their resources to make sure to take a big advantage of this new generation. This new generation has a very materialist focus so to keep it that way, all the media and marketing people have to sell things that will keep this generation inters otherwise it is very hard to compete with people out there. Hi, My name is Melissa Murillo and I am a senior at GU. I am a Digital Media from Colombia.